The ADSL2+ Modem (DSL-520B) is an affordable high-performance modem ideal for your home or small office. 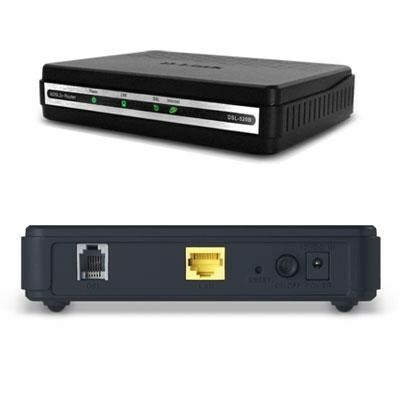 This modem supports high download speeds, Quality of Service (QoS), and extensive firewall protection, providing all the essentials that a home or small office would need to establish a secure and high speed remote link to the outside world. This modem provides firewall security using Stateful Packet Inspection (SPI) and Denial of Service (DoS) attack protection. SPI inspects the contents of all incoming packet headers before deciding what packets are allowed to pass through.